Leveraging its significant traction in the residential market, Adara Power has introduced the Adara iC3 Platform to address demand from its certified installers and electrical contractors who also have a significant commercial customer base. The Adara iC3 Platform intelligently integrates battery and inverter controls with cloud-based software and a robust IoT connectivity solution. The platform has launched with a scalable 125kW, 250kWh inverter and battery suitable for commercial-scale applications. Property owners that are currently paying excessive electrical demand charges should consider the benefits of owning and operating a commercial Adara Power Energy Storage System. Backed by 10 year warranties and performance guaranties from both the inverter and the energy storage stacks, the system can be used to significantly reduce the amount of energy drawn from the grid during peak load periods/events, maximize the benefits of operating large scale solar installations, and increase consumption of on-site energy. The system qualifies for the Federal Investment Tax Credit of 30% and California buyers can also apply for the state Self-Generation Incentive Program (SGIP). 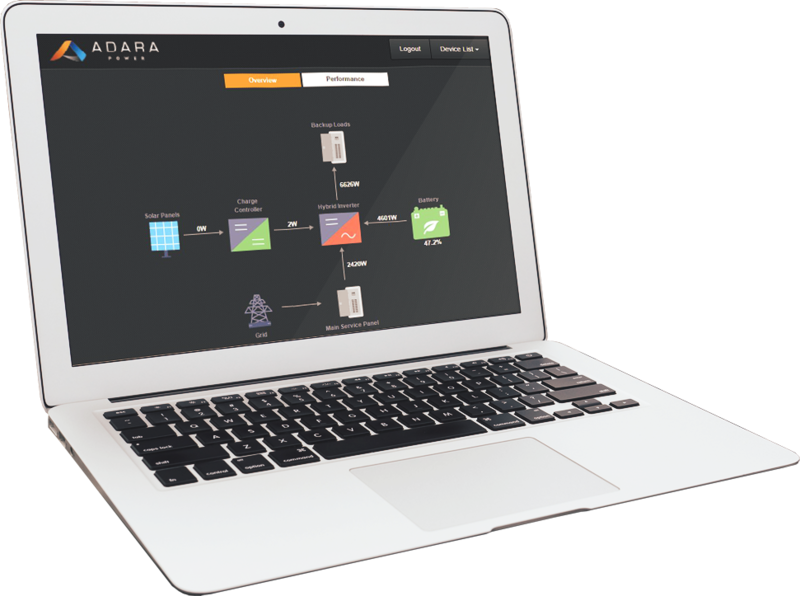 Adara Power systems are available for sale now, and include access to our full suite of network monitoring tools and reports. Building owners keep all of the tax benefits, rebates, and depreciation associated with these systems and payback times can be as short as three years in some cases. Please enter your information below to submit a request to purchase an Adara Commercial Energy Storage System. A representative will follow up with you shortly.